A body representing the UK's convenience stores has called in the agency of high street guru Mary Portas to fight the might of the big supermarkets. The Association of Convenience Stores (ACS) has appointed Yellowdoor as it battles against the lure of online shopping and big-name retailers. The ACS acts as a campaigning voice for local shops through lobbying and gives advice on legislation and issues that affect the high street. The appointment follows Yellowdoor founder Portas being brought in by the Government to prepare a report, The Portas Review, aimed at helping to rejuvenate UK high streets. This spring it accepted 'virtually all' of her recommendations, including £10m of taxpayer money being invested into bringing empty shops back to life. Peter Cross, managing partner at Yellowdoor, claimed that ACS' appointment was not explicitly linked to Portas' government report, but that 'it can't have done any harm'. Cross said the work would focus on challenging perceptions around convenience stores, including the price and range of goods stocked, while emphasising the 'personal touch' these shops offer. He added that the retained work was the first brief of its kind issued by ACS. 'The ACS is very keen to explain to the world the pivotal and dynamic role that convenience stores and local shops can play in communities and it is something close to our hearts,' added Cross. The agency, which won the brief via a competitive pitch, plans to 'hit the national news agenda and really get people to reappraise these stores'. Research from the Local Data Company revealed last month that between January and June this year, the proportion of British shops lying empty increased to an average of nearly 15 per cent. 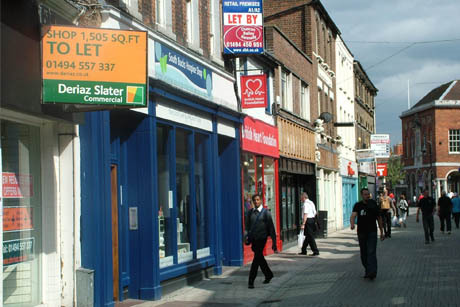 The centre of Nottingham topped the rankings, with 31 per cent of shops unoccupied.